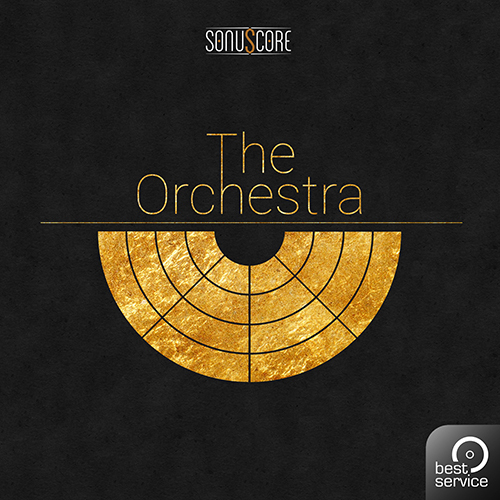 The Orchestra by Best Service is a Virtual Instrument Audio Plugin and Soundware (e.g. samples or presets that load into other products). It includes, and is therefore "powered by", Kontakt Player, which functions as a VST Plugin, an Audio Units Plugin and an AAX Plugin. 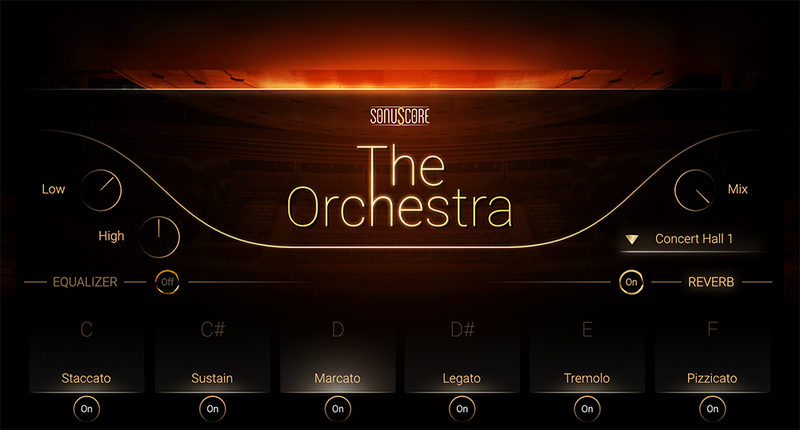 Sonuscore: "We found a way to revolutionize your way of composing complex orchestrated music. It's a new simplicity, a more natural approach to cope with multifaceted orchestral colors and rhythms." The Ensemble Engine works through a number of independent arpeggiators and velocity envelopes, heavily inspired by our Sonuscore Origins-Series. Create pulsating rhythms and even inspiring full arrangements from any combination of notes. 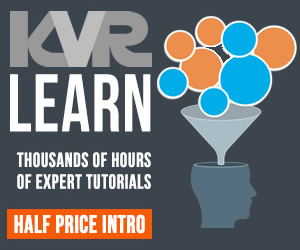 All of this without relying on prerecorded phrases – you have the full control. It will work, no matter what chord or note you play. Orchestral Colors - The Orchestral Colors presets are practical combinations of instruments that can be played live on your keyboard. 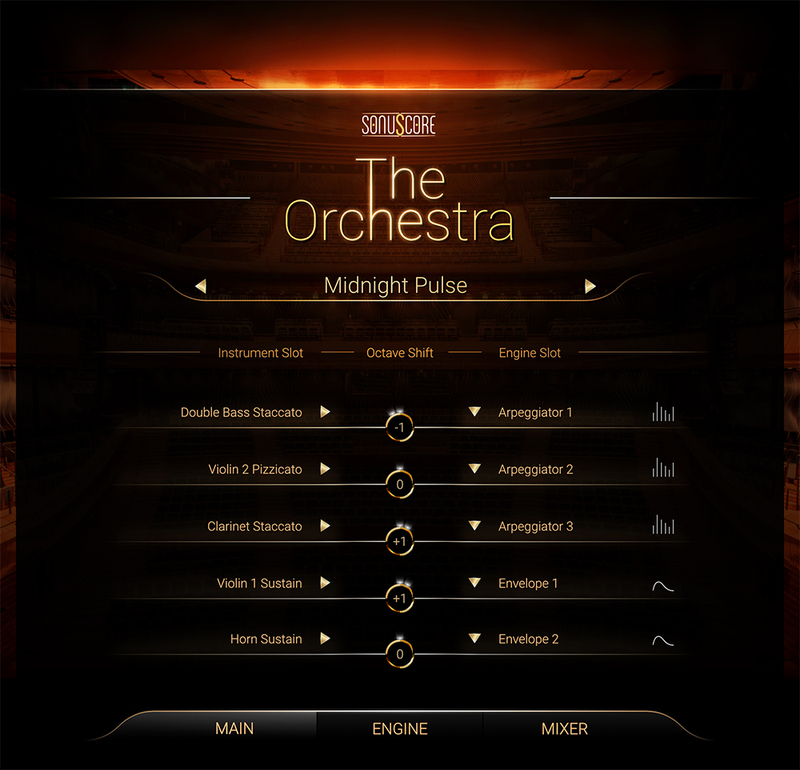 Orchestral Rhythms - The Orchestral Rhythms contain simple, useful playable patterns for separate sections of the orchestra that make use of our Ensemble Engine. 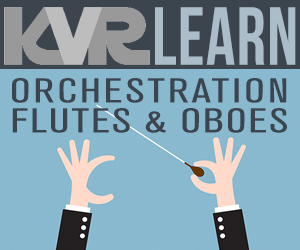 Animated Orchestra - The animated orchestra presets go even further, and create complex orchestrated rhythms from any played note. This is where the magic happens. Aside from the Ensemble Instrument, The Orchestra also contains 89 single instrument patches for all standard sections and articulations in a symphonic orchestra, including percussion, a Glockesnspiel and as a bonus: choir. Multis take the Ensemble Engine even further toward instant playability and sound as they load and layer multiple instances of The Orchestra. There are Full Orchestral Multis for single articulations, that work perfectly for quick sketching and layering. Animated Multis combine multiple instances of the Ensemble Engine for even more complex patterns. The Orchestra was recorded and processed with the intention to sound a bit rougher and more "honest" than the common orchestral Hollywood sound. It offers an alternative and promises straight and powerful sounds, punch and a vivid musical experience. Play freely or create stunning orchestral colors with simple chords. Complete set of standard articulations for all instruments. user preset system enables you to save your own presets for the ensemble instrument and even share them with other users. min. Kontakt Player 5.7.0 required.